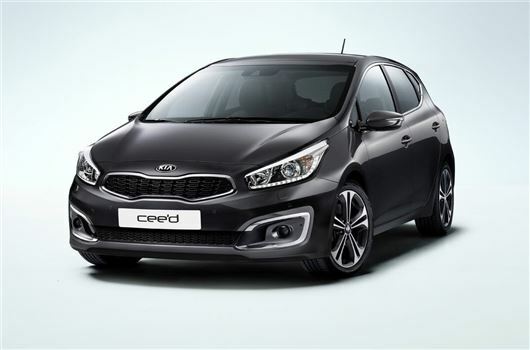 Kia has updated the Cee’d with a more streamlined look along with introducing a sporty GT Line specification and improvements in refinement and efficiency. The revised models are on sale now. A new 1.0-litre T-GDI three-cylinder petrol engine is now available and while Kia is yet to announce any economy figures, it does say the engine will deliver the lowest CO2 emissions of any petrol-engined Cee’d to date. It will be available with either 100PS or 120PS. The enhanced range, which comprises five-door Cee’d, three-door Pro_Cee’d, and Cee’d SW estate, also gets a new twin-clutch automatic transmission on the options list. The seven-speed unit replaces the old six-speed torque convertor automatic and improves efficiency markedly. As a result the 1.6-litre CRDi diesel with the new auto Cee’d emits 109g/km CO2, as opposed to 145g/km with the old automatic. That engine is the only available with the automatic transmission, but regardless of gearbox it’s now more powerful, up to 136PS from 128PS. The updated Ceed still gets the 128PS 1.6-litre GDI and 100PS 1.4-litre MPI petrol engines it did before and the 89PS 1.4-litre CRDi diesel stays too. All are now Euro compliant. Most of Kia's work has gone into improving refinement and handling, with the company boasting of a new electronic torque vectoring system. Suspension noise is reduced too, Kia claims, with steering feel improved. The new GT Line range takes cues from the GT model cars proper. Available in all three body styles, Kia hasn’t announced the exact specification of these cars, but expect a body kit, lowered ride height and interior trim elements including sports seats and a flat bottomed steering wheel. No prices for the updated Cee’d range have been announced yet, but expect slight increases across the board, which will see the five-door Cee’d range begin at a shade over £15,000.